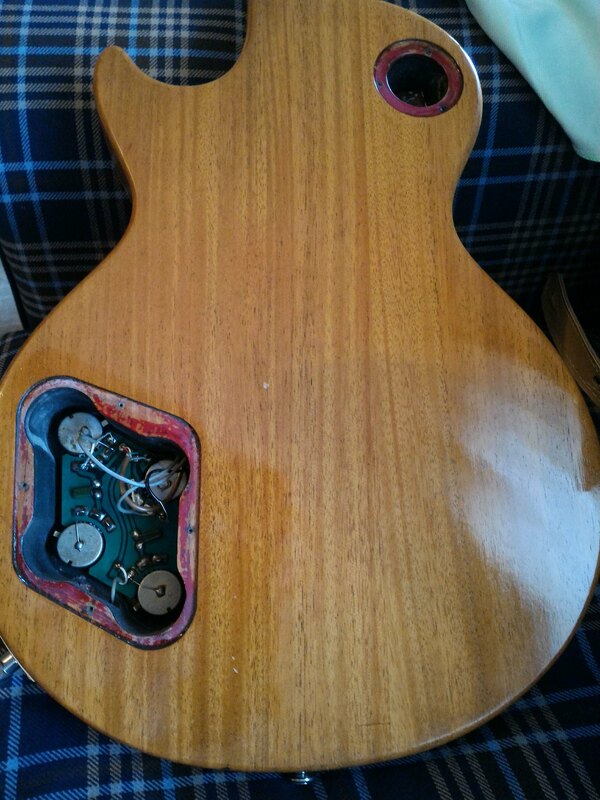 Its been long since this project was finished but every time I play the guitar I like it even more! 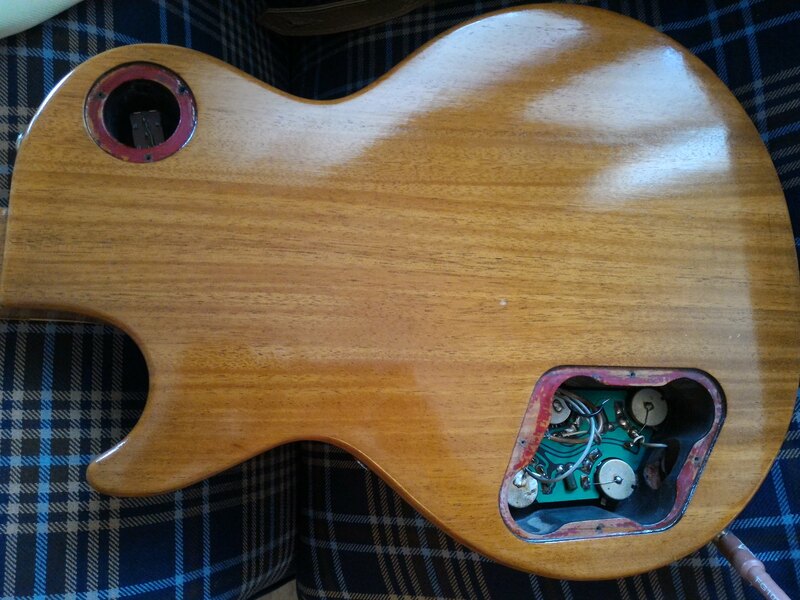 I got a 1981 LS 50 in junk condition - top was stripped and the back was painted in something like a black marker on top of the red poly paint. I sanded the top and back all the way and refinished it in Shellac. Very nice.... I far prefer a light back goldtop than a dark or black back. how do you like the gold color? I like the gold. 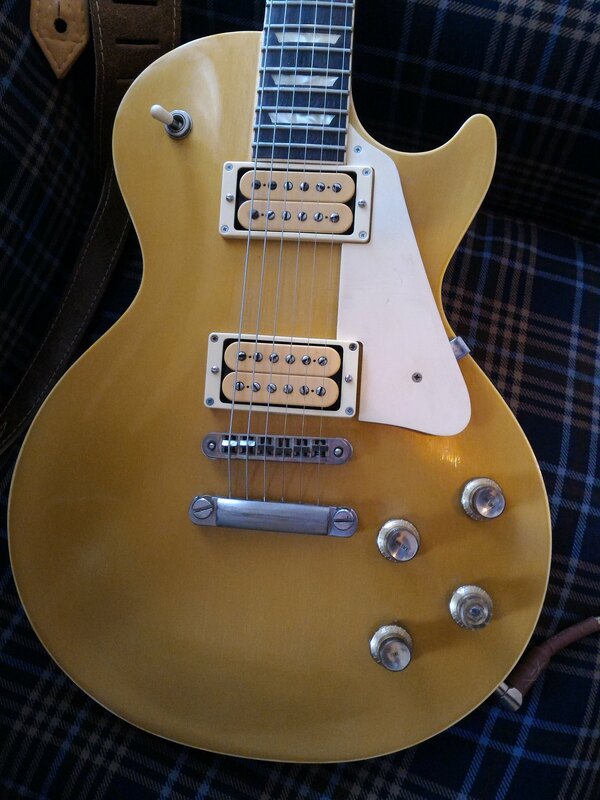 I have a 2010 p90 gold top and never like the dark color back on it. That's sweet. I'm in the light back GT camp myself. Damn nice back on that LS50. Looks Honduran ?? Beautifully matched as well.